The following story was written for the occasion of Br. 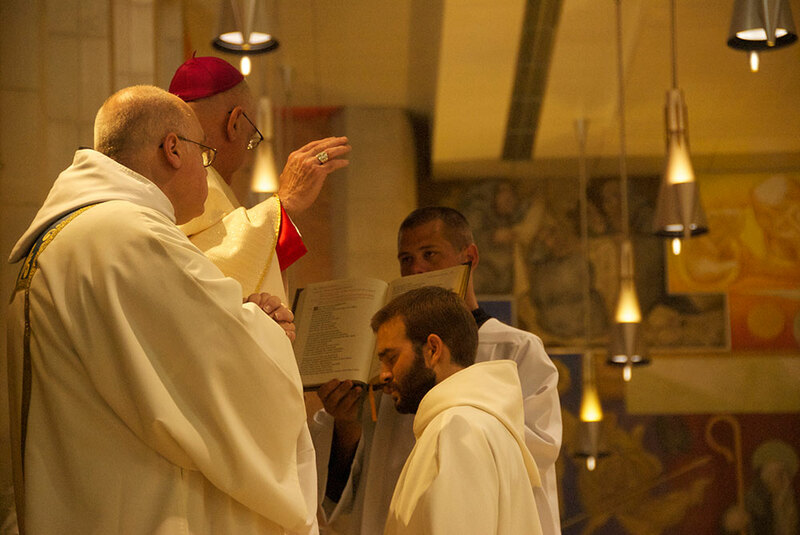 Simon Baker's Solemn Profession. Br. 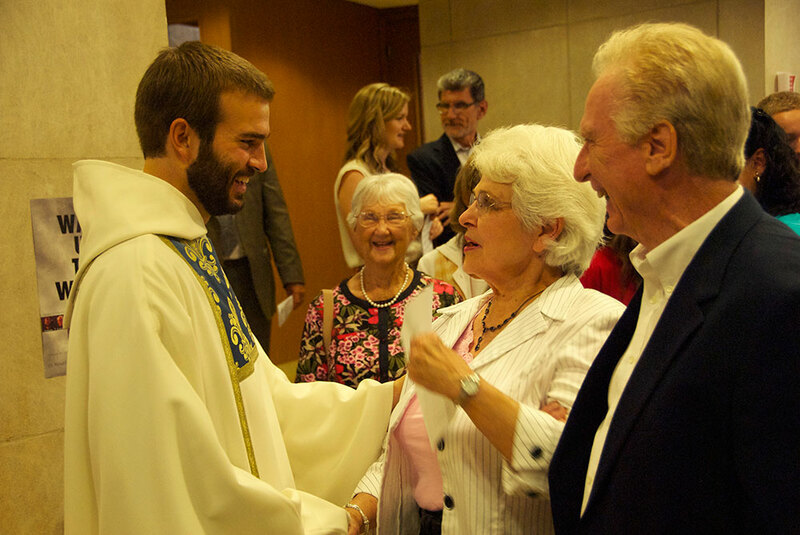 Simon will be ordained to the priesthood April 25. It is 10:30 a.m. Saturday August 4. Outside, the weather in Atchison, Kansas is unusually calm, an 88-degree break from the scorching heat that has ravaged the Heartland and been the trademark of the worst drought in America in the last half-century. Inside St. Benedict’s Abbey Church, there is a similar calmness in the face of what could otherwise be a temperature-raising experience. A young man dressed in a black habit stands by an altar in front of a congregation of friends and family. 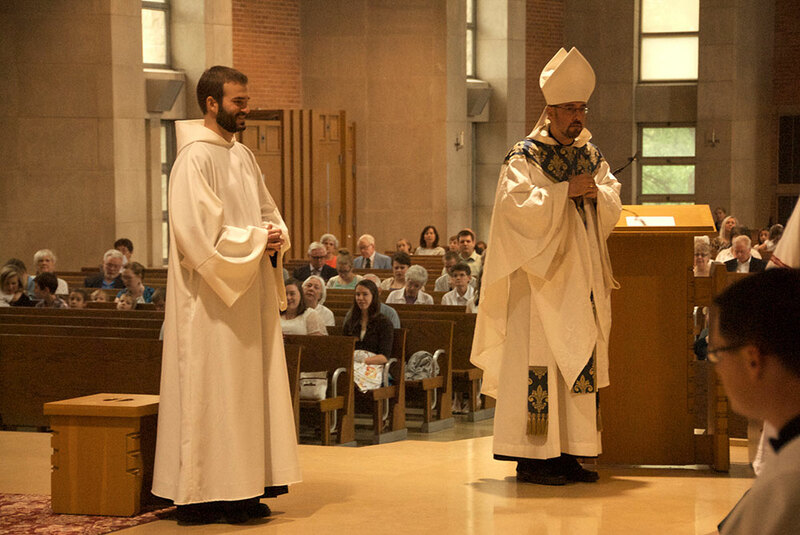 He is about to make a solemn vow: A promise to commit his life wholly and without reservation, not to a young bride, but to Jesus Christ and the community of Benedictine monks. It is a narrow path, a road not taken by many. It is meant to be irrevocable. 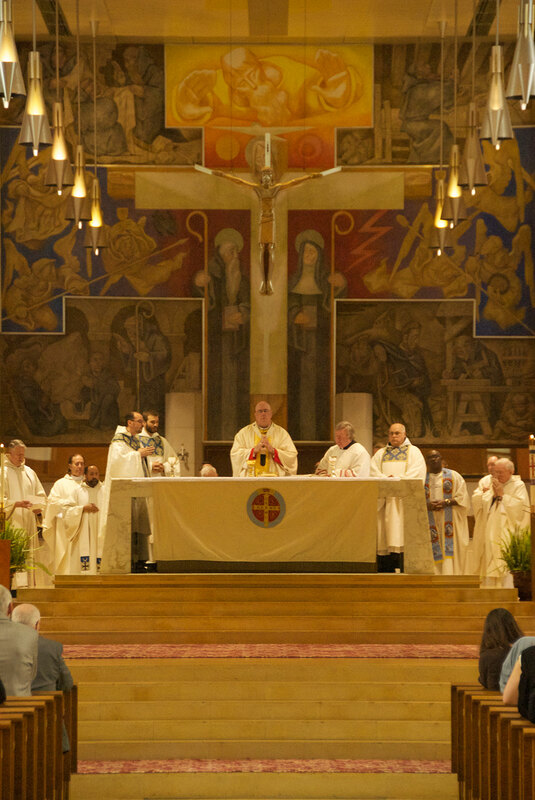 On this year’s Feast Day of Saint John Vianney, the patron saint of priests, Brother Simon Baker professed solemn vows to the monastic community. 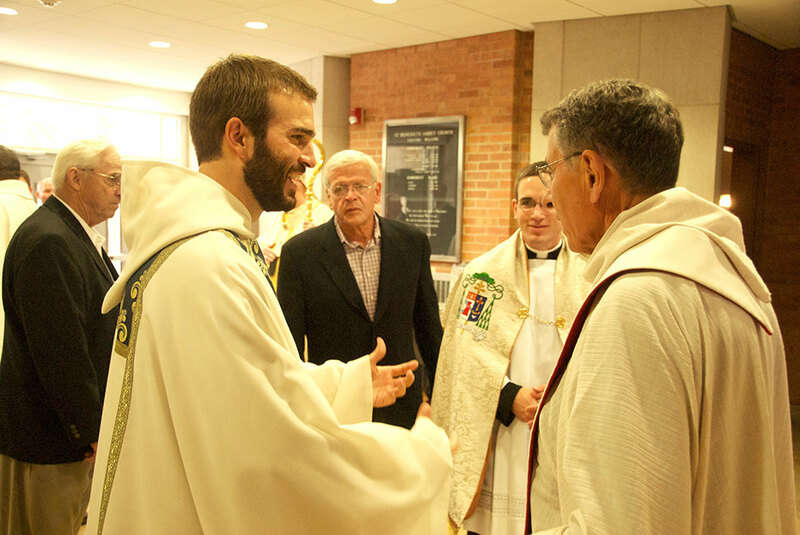 By taking solemn vows of stability, conversion to a monastic manner of life and obedience, Brother Simon has committed to live the rest of his life in the monastic community at St. Benedict’s Abbey. The community, in return, promises to support him in his commitment. The ceremony of solemn profession, and the whole monastic life of prayer and service, provides a good expample for us to follow. Hopefully each of us can also show commitment in all the facets of our lives. 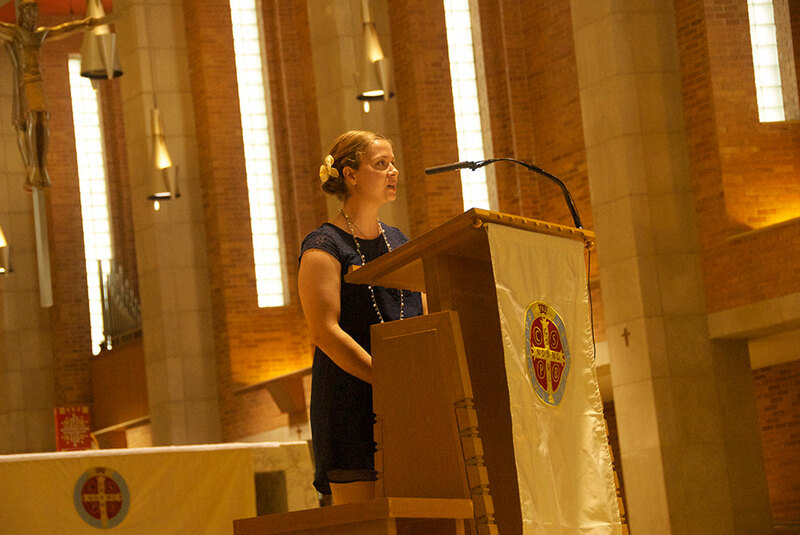 Professing voes, whether as a monk or a spouse, can be very intimidating. 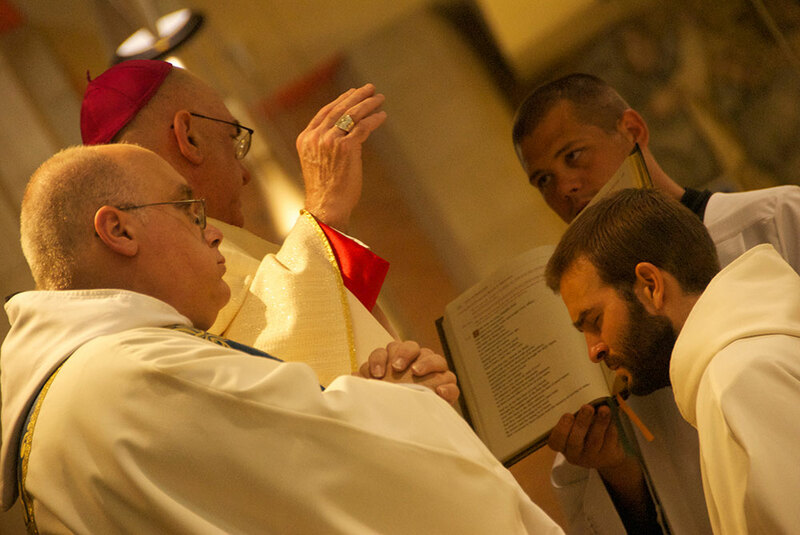 Solemn Profession is the final step in what is typically a four-to-five year formation period. 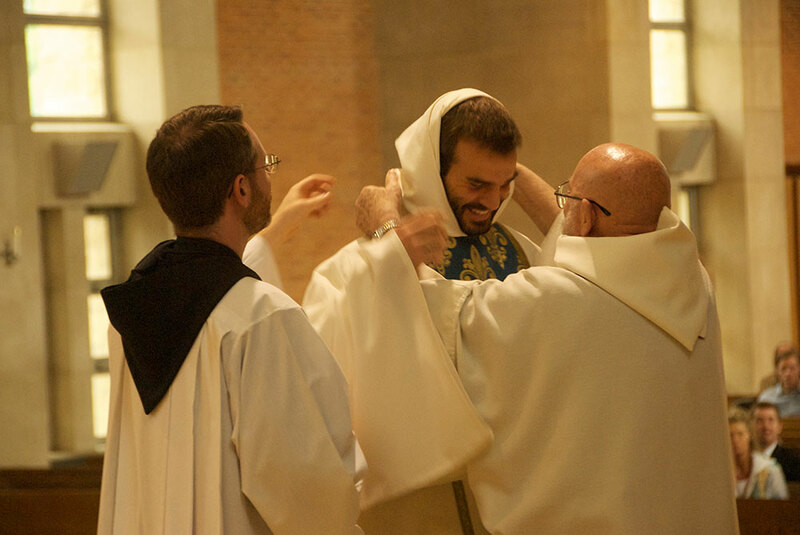 To become a fully-professed Benedictine monk, a man must first enter the order as a postulant. After several months, he may then request initiation into the novitiate. 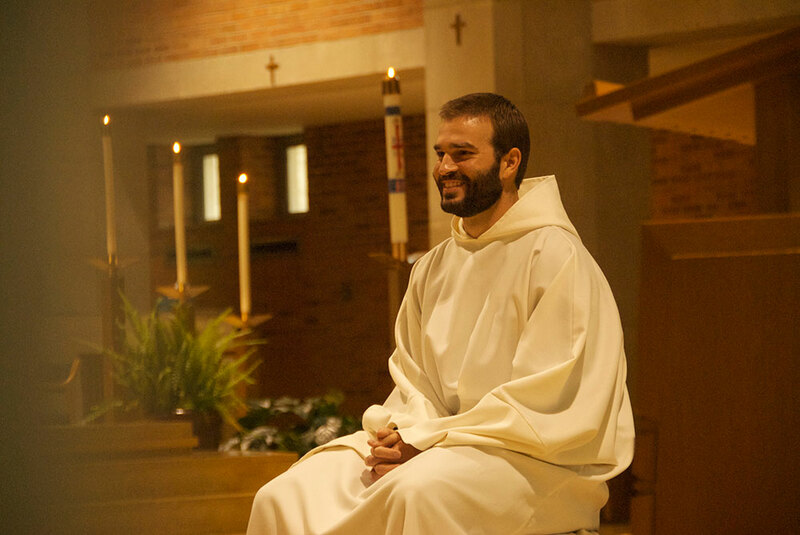 During the novitiate, which is a year in length, the monk takes classes on subjects such as monastic practices, Church teachings, the Rule of Saint Benedict (which has guided the Order for 1500 years), Benedictine history, Scripture, and more. During this year, he works closely with the novice master, who is the mentor for the novice monk in the monastic way of life. The novice moves to the next period of formation when he professes triennial or “first,” vows. During the next three years he moves more fully into the life and work of the monastic community. It is a process—a journey—that, from beginning to end, is rooted in commitment. Brother Simon has embraced that commitment, not with fear, but with joy.